Counter-Strike: Global Offensive has a wide variety of options available that can customize the gaming experience to suit your own personal playstyle. 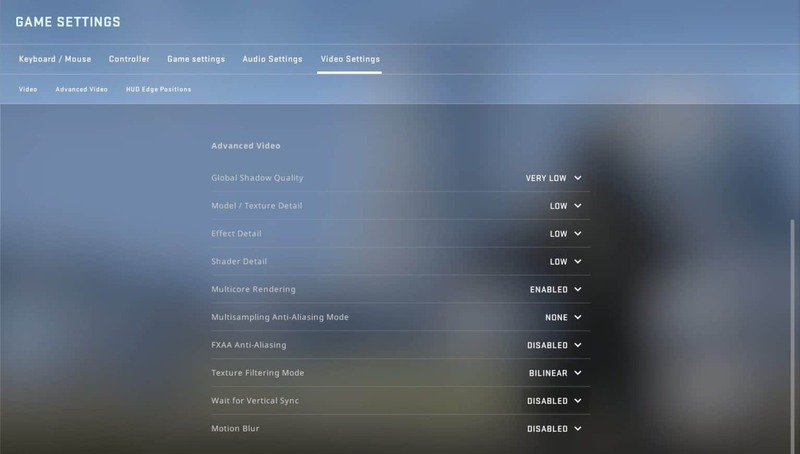 This guide gathers an aggregate of values from our CS:GO Pro Settings and Gear list to give you a starting point to find the best settings for CS:GO. 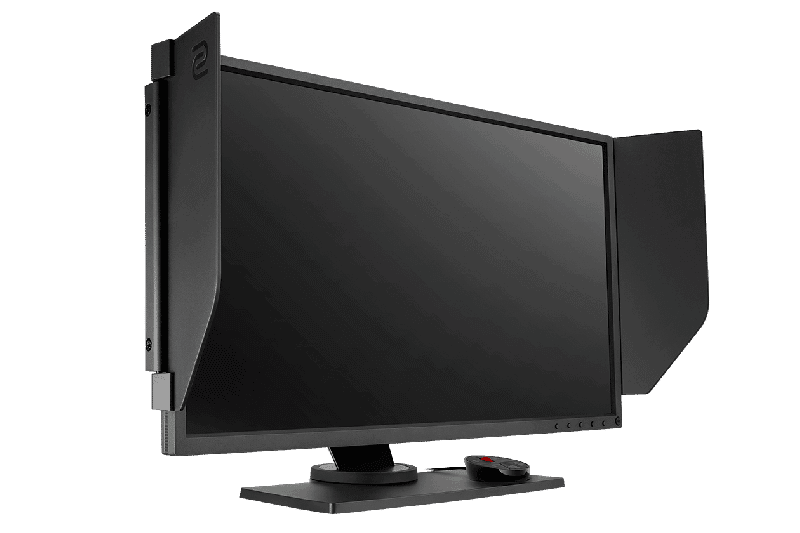 We’ve analyzed the sensitivity, DPI & eDPI, resolution, monitor refresh rates (in Hz) and many more. In the second part of this guide we’ll give you the best ingame settings to get the most FPS out of your PC. After you have chosen which mouse you are going to use (check out our recommended mice for CS:GO here) you might be wondering which ingame settings you’re supposed to pick. There are a couple mouse settings that have to be configured optimally. You might have already heard about terms like sensitivity, raw input or mouse acceleration. This guide will walk you through everything you need to know. Many mouse settings also depend on the role you play. AWPers and Riflers generally use different settings, so please take note what kind of play style you prefer. Much like choosing the correct mouse, we recommend using settings values that are similar to those of the CS:GO pros. 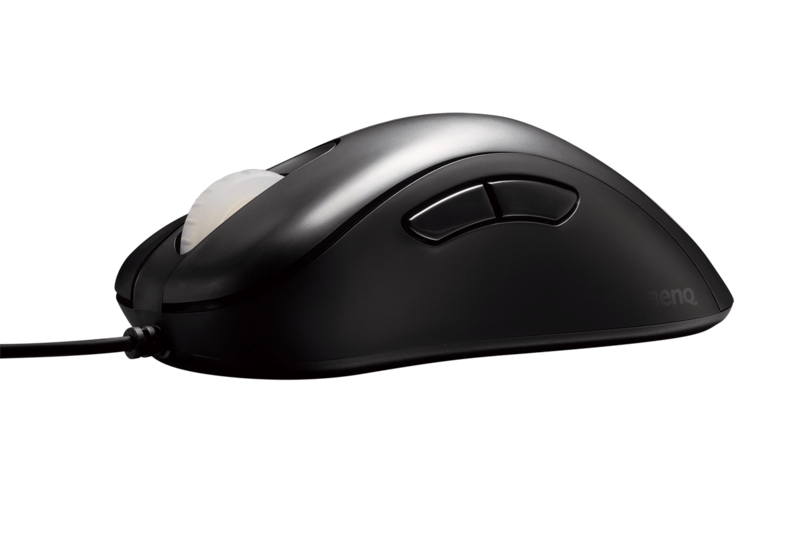 The most relevant value when controlling your mouse is called eDPI and it’s important that you understand what that term means. speed your crosshair moves on screen. So we have to take a look at both. So what’s the difference between DPI and sensitivity? Simply put, DPI is the hardware part and sensitivity is the software part of the equation. There’s a ton of different mice out there and they’re all slightly different, so in order to find a value that you can compare with the pros, you need the combination of mouse settings and personal sensitivity settings. This is called eDPI. If you take a look at each player’s settings individually the comparison wouldn’t make much sense. For example 800 dpi and a sensitivity of 2 is the same as 400 dpi and a sensitivity of 4. That’s why we use eDPI to compare sensitivity settings. With an average of about 863, most Riflers are playing with eDPIs between 800 and 1000. They seem to prefer a slightly lower eDPI than the dedicated AWPers. This ensures perfect crosshair placement and steady aim. Most competitive AWPers are using a slightly higher eDPI than their team mates. This seems fair. Some AWPers tend to favor a more active play style, and perfect crosshair placement isn’t that important for AWPers, since a bodyshot results in a kill as well. Now that we understand eDPI, we can have a look at both arguments of the equation. DPI is the short form for Dots per Inch. It measures how sensitive your mouse is (higher=faster). If you use 400 DPI your mouse moves 400 pixels for every 2.54cm or 1 inch you move your mouse. You either change it in your mouses software (driver) or directly on your mouse depending on your manufacturer. As you can see in our graphs, most pros play on ‘lower’ DPI-ranges (mostly the mouse’s ‘native’ DPI) since historically very high DPI settings could result in performance issues. Nowadays (with modern sensors such as the 3360 and its countless variants) this is less of an issue, but CS pros aren’t likely to change their settings if they’ve been working for them for all of those years, and why would they? There’s nothing inherently better about using a higher DPI, so by all means use what’s comfortable for you. Since sensitivity is always dependant on the DPI and mouse you’re using we can’t give you meaningful averages or medians for these values. If you want to mimic the sensitivity of a certain pro player you can always have a look at our Pro Player Settings and Gear List. We do encourage you to calculate your own effective DPI though. This is one of the most important settings. Zoom Sensitivity refers to how fast you aim while being zoomed in using scoped rifles. This value is obviously important for AWPers. If you want to stay mobile while unscoped but need a steady aim while scoping you might want to consider increasing this value. On the right you can see the average zoom sensitivity of top tier AWPers. There might be some arguments to be made about this number (and it’s also dependent on the mice the players are using) but it seems to be the case that most players are comfortable around the default setting, which is 1. You can change this settings in settings -> keyboard/mouse. The polling rate (in Hz) of your mouse determines how often it sends information to your PC. Most mice have several options you can choose from. With a polling rate of 125Hz the mouse position will be updated every 8 milliseconds, for example. 500Hz updates every 2 milliseconds and 1000Hz updates every millisecond. The difference between 125Hz and 500Hz is quite significant, as you can probably tell. Because the difference between 500Hz and 1000Hz is almost negligible and some mice do have issues at 1000Hz you can see some professionals use 500Hz. You can change this setting in your mouse’s driver software. About mouse acceleration: in general, turning this on is considered a bad idea. If you turn it on your cursor will travel further based on how fast you move your mouse. This hinders your ability to develop muscle memory (which is a crucial thing to develop if you want to have consistent aim). Only a handful of CS:GO pros turn this setting on and we advise you to keep it off. You can find it in your options under Settings -> Keyboard/Mouse -> Mouse Acceleration. As mentioned though, we strongly recommend you turn it off. If you turn on raw input, which we highly recommend, CS:GO ignores every input that comes from outside of the game like drivers and Windows. We generally don’t want any interference. Some pros keep their Raw Input off because there might be packet loss caused by it. You can find raw input in your CS:GO settings under Options -> Keyboard / Mouse -> Raw Input. If you keep it off, your windows sensitivity is an active factor in determining your eDPI. Please refer to our Pro Settings and Gear List to compare your settings in that case. You can find many different opinions on CS:GO Video settings. Pretty much all of the settings we discuss in this article have advantages and disadvantages. Please note that we can have a look at the pros and cons of each resolution, aspect ratio and video settings but ultimately you have to decide which one suits you best. Our main goal is to configure the game in the least demanding way possible while maintaining all upsides that can be beneficial to your competitive performance. Resolution and Aspect ratio might be the most obviously noticeable changes you can make to your configuration. It is also very important and can have a severe impact on both your framerates and style of play. If you are not playing 16:9 you can choose between different scaling modes (black bars and stretched). As you can see on our charts to the right, most pros play with an aspect ratio of 4:3. This might easily be the most controversial topic on our list. In general it is strongly advised to play with a 16:9 aspect ratio, since you actually see more on your screen. We recommend you to use it if you have a top tier gaming PC. You want to keep your frame rates above 144 at all times. However, if you are not able to reach these – quite high – FPS standards, reducing the resolution can increase your fps tremendously. We are also very aware of the argument that reducing your aspect ratio can help you ‘focus’ more on the important part of your screen (the middle) but we think this consideration is negligible. This is a highly personal matter that is hugely dependant on each individual. A lot of pros are also still on their resolutions from earlier iterations of the game and use them because they have become so used to them. In summary, keep the resolution and aspect ratio low if you are below the critical 144 frames threshold. Stretching a 4:3 resolution can help you hitting some enemies at times but distorts your screen to some degree. If you are running the newest gaming rig, there should be no problem with playing at 16:9. There are a couple of things you might want to take care of in your windows settings if you are having trouble changing things in-game or just you want to increase your brightness levels even further than possible ingame. Nvidia: Right click on your desktop -> Nvidia Control Panel -> Adjust desktop size and position -> Refresh rate. In this section you can also change the scaling mode to either: Aspect ratio for black bars or Full-screen for stretched. After that we click on: Adjust desktop color settings. We also want to change the brightness. Click on adjust desktop colour settings in the Nvidia color settings and then set the Digital Brightness Slider to 70-100% depending on how bright you want your game to be. This helps immensely with spotting enemies in darker places. AMD: Right click on your Desktop -> AMD Radeon Graphics -> My Digital Flatpanels -> Custom Resolutions -> Refresh Rate. For stretched or Fullscreen you want to stay in My Digital Flatpanels -> Properties. To change your brightness you go on Display color and change the saturation slider to your likings. A lot of pros are using increased saturation settings as well. You might want to increase them to 75%. Increase this to spot enemies in darker places. The exact value depends on your monitor and windows settings. Feel free to use a setting that you personally feel most comfortable with. A good spot to check your brightness levels is the dark corner on bomb spot B on de_inferno. Use Computer Monitor here. It looks more natural and makes the game brighter dark corners. Keep this disabled or your FPS will take a massive hit. This one is debatable, but since this can be a real FPS hog and you still see shadows of enemy players perfectly fine on low we recommend setting this to low. If you’ve got FPS to spare you can set this higher to see crisper looking shadows. This basically does exactly what it says, it increases the detail of the textures in the game. This doesn’t have a major impact on FPS so you can probably afford to set it a bit higher, but since there’s not a whole lot of visual difference we like to keep it at low. Having effect detail higher than low has no advantages other than seeing better through molotovs. Only up it if your PC can handle a big FPS hit. From a competitivie point of view there is no upside to keeping this higher than LOW. We want FPS so keep it there. Keep this enabled to allow CS to use more than one core of your processor. This smoothes out the edges of objects and models in the game, which results in the game looking better. Keeping this to none will save you a lot of FPS, so only turn this on if you really have FPS to spare. Causes input lag and makes the game not look as crisp and clear. We keep this disabled for better FPS. Removes blur from textures that are far away. You can use a higher texture filtering mode if you don’t have any FPS issues at all. The difference in visibility is negligible however, so in most cases it’s best to keep it at bilinear. Vertical Sync helps with screen tearing issues but adds a form lag if turned on due to applying some form of buffer. Also locks your fps to the refresh rate of your monitor. Keep this disabled unless you get noticable screen tearing. Adds a blur motion to your fast crosshair movements, which restricts your ability to notice enemies. Keep it disabled. 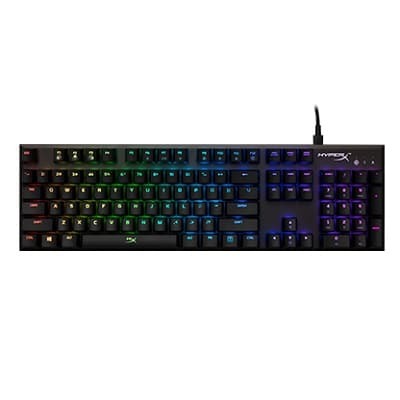 Keyboard settings and having a good mechanical keyboard are severely underrated. A keyboard that doesn’t register your keystrokes every time you press a button is a huge liability. It helps a great deal with your movement and having keybinds for the wide range of grenades will often times spare you the seconds you need. CS:GO settings -> Options -> Keyboard / Mouse. Otherwise you can also use the config/autoexec in the later part of this guide to have exactly the same settings as throughout this guide. These binds will also make you able to buy said grenades with the same button. bind "f" "buy flashbang; use weapon_knife; use weapon_flashbang"
bind "t" "buy smokegrenade; use weapon_knife; use weapon_smokegrenade"
bind "q" "buy hegrenade; use weapon_knife; use weapon_hegrenade"
bind "r" "buy incgrenade; buy molotov; use weapon_knife; use weapon_molotov; use weapon_incgrenade"
bind "c" "buy decoy; use weapon_knife; use weapon_decoy"
By using these binds you will be able to throw grenades way faster, since the knife breaks your grenade throw animation. Let’s take a deeper look at audio settings. Players often disregard this aspect of the game because they think it’s not as important as other settings, but you’d be wrong to make that same mistake. Audio is absolutely crucial in this game. While audio is a very important aspect to the CS games, the audio engine in CS:GO certainly isn’t the best one out there. To make the best of this subpar audio engine you’ll want your configuration to Headphones. You can find it under: Settings -> Options -> Audio -> Speaker Configuration -> Headphones. This can make it easier to hear footsteps when using your headphones. And you should be using headphones for this game. Speakers generally aren’t an option, since the game is so heavily reliant on audio. Since audio settings are different from headset to headset and personal noise tolerance varies you’ll have to do some tweaking yourself when it comes to Master Volume. Just make sure you’re able to hear important things such as footsteps without destroying your ears. The radar settings are incredibly important but ignored by most new players. Just like you get an enormous amount of information through your sound you can get game-deciding information through your radar. The radar in CS:GO is another valuable source of information. The default radar isn’t the best though and might cause you to miss crucial info. So, we’ve compiled this set of settings for you to use to get the best out of your radar. These are the basic settings to have the full overview in your minimap. For a perfectly setup radar you might also want to consider downloading a config from our Player Database. Launch options can have a significant impact on your game as well. The config is a list of commands that executes once you start your game. Using these settings will make your game run as smoothly as possible. So how do I set the launch options & config/autoexec? After that we go here: C:\Program Files (x86)\Steam\userdata\YOURSTEAMID\730\local\cfg – this is where you place your config/autoexec. Another great option is to use our Player Database to download the config of your favorite pro. Tinkering with your settings and options is something that everyone has to do at some point. Especially things like resolution or sensitivity are very personal and subjective values. With this guide we wanted to give you a general direction. With settings that are similar to the pros you won’t feel a competitive disadvantage. We hope you enjoyed reading this.